The Southwest Mesa pens have a single 3/8" tube. 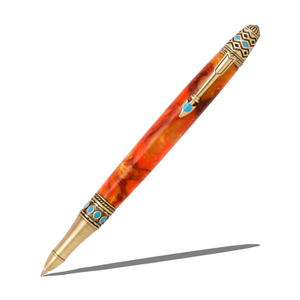 The pen end cap features geometric shapes inspired by weaving patterns of the Southwestern American Indians. Uses a Parker style refill. Overall finished length is 5-5/8".